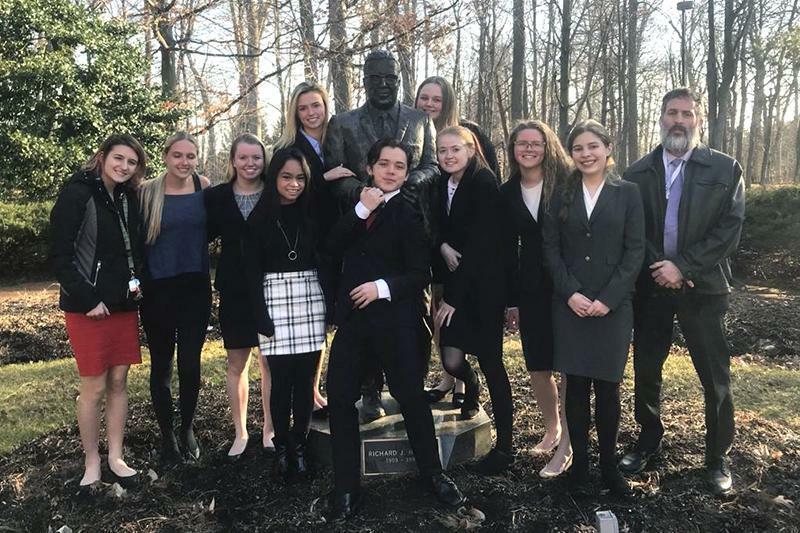 The Mainland Regional High School District is a comprehensive, four-year public high school with an enrollment of approximately 1,300 students serving the communities of Somers Point, Northfield and Linwood, New Jersey. 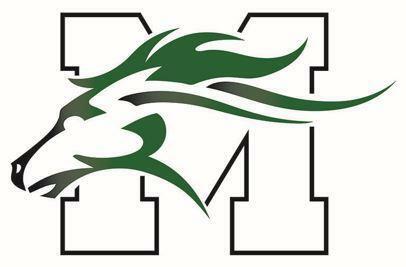 The District also participates in school choice, which permits 44 students that reside outside of the sending districts to attend Mainland Regional High School. A proud, National Blue-Ribbon School of Excellence and New Jersey Department of Education Lighthouse District, we are consistently recognized on both state and national levels as a high performing school committed to academic excellence and preparing students for college and career. We have been ranked as one of the top 100 high schools in the state by New Jersey Monthly, and Niche Best Schools listed Mainland Regional High School as the 38th best high school in New Jersey. In addition, Mainland Regional High School’s students maintain the highest average SAT scores (Critical Reading and Math) and the highest Advanced Placement exam participation rate in Atlantic County, NJ. We embrace an approach to education that prepares students for a rapidly evolving world regardless of their post-secondary plans. Our Program of Studies is organized into College and Career Clusters to encourage student exploration and career awareness and provides curricular offerings designed to foster critical thinking and problem solving, as well as knowledge of emerging technologies in a progressive and future-ready learning facility. The Program of Studies includes more than 220 diverse course offerings organized into nine distinct College and Career Clusters. These clusters are designed to support students in choosing a course of study that not only meets their individual interests, passions and goals, but also prepares them for success. We offer 25 Advanced Placement courses and 38 Honors courses, as well as several Gifted/Talented courses. Students at Mainland Regional High School also have access to dual enrollment courses in conjunction with Stockton University and concurrent enrollment opportunities with Atlantic Cape Community College, which provide students the opportunity to earn college credit while still in high school. Mainland Regional High School is also a Physics First school, enabling all students with a greater opportunity to take more advanced level science courses during their time at the high school. The High School’s progressive daily bell schedule supports accountability, connectedness and engagement among our students and faculty, providing tremendous freedom and opportunities designed to promote a sense of responsibility that will effectively prepare them for success in college and career. The daily bell schedule was designed to reduce student academic stress while increasing overall skill development and achievement through extended class periods and increased time for students to receive extra academic support. It also provides more time for teachers to engage in professional development and promotes a sense of accountability and responsibility among teachers, students and administrators. The core of this schedule is our unit lunch, during which all students have time to eat, decompress and interact with each other and the staff in a less formal way, creating a greater sense of community and connectedness to the school. More than 30 school districts throughout the State of New Jersey have sent Board members, administrators, faculty, students, and community members to visit Mainland Regional High School to observe and experience the High School’s bell schedule and its positive impact on school climate and culture. As a District, we believe that the connection between student and school is the key to the success of our diverse student population. We are One Family, One School, One Community. We are Mainland. 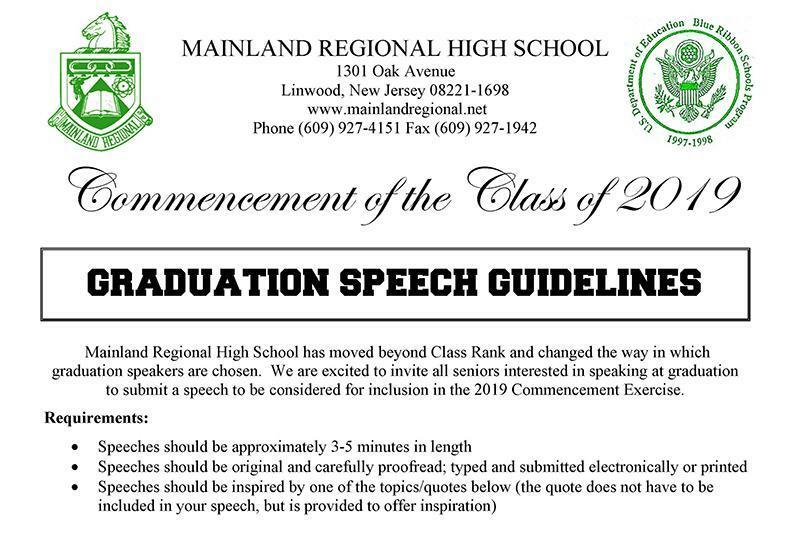 We are excited to invite all seniors interested in speaking at graduation to submit a speech to be considered for inclusion in the 2019 Commencement Exercise. 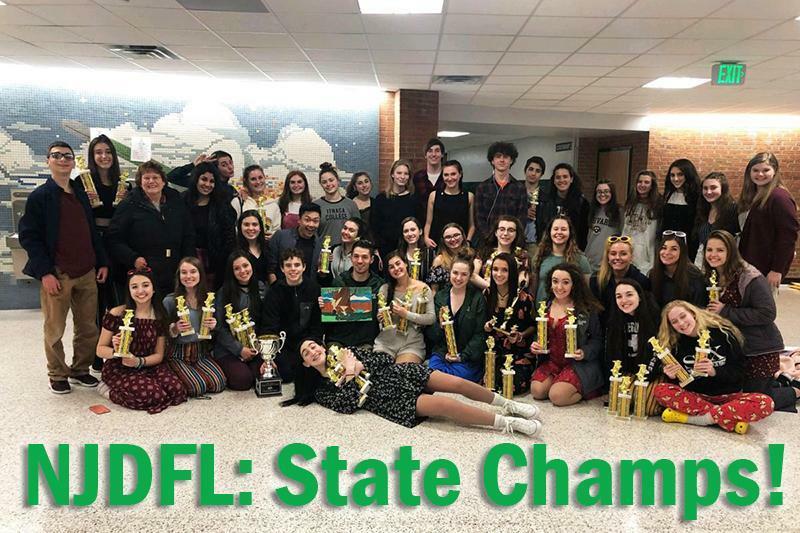 The Mainland New Jersey Drama and Forensic League squad brought home an unprecedented eighth consecutive state title! 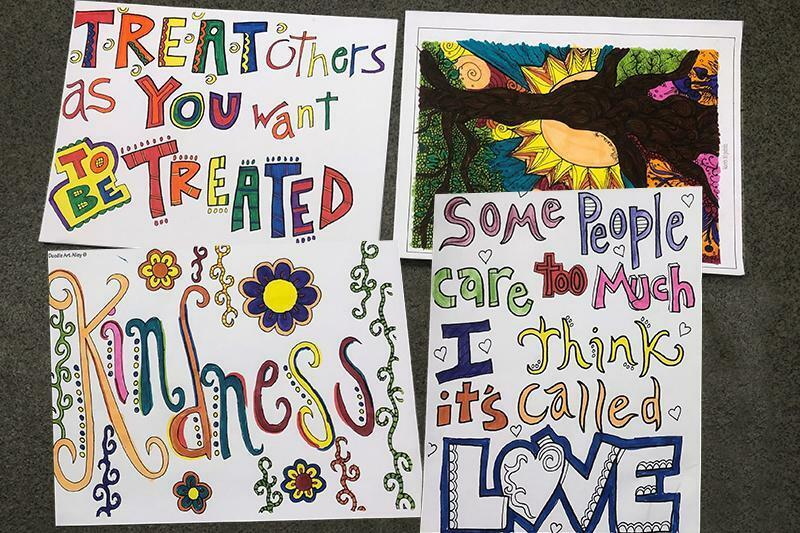 Ms. Roesch’s Yoga & Mindfulness students hosted 8th graders from Somers Point, Northfield & Linwood schools on January 29th in a Kindness Matters Themed Day. Mainland Regional High School is committed to ensuring that all of our students are provided with the necessary resources to succeed. 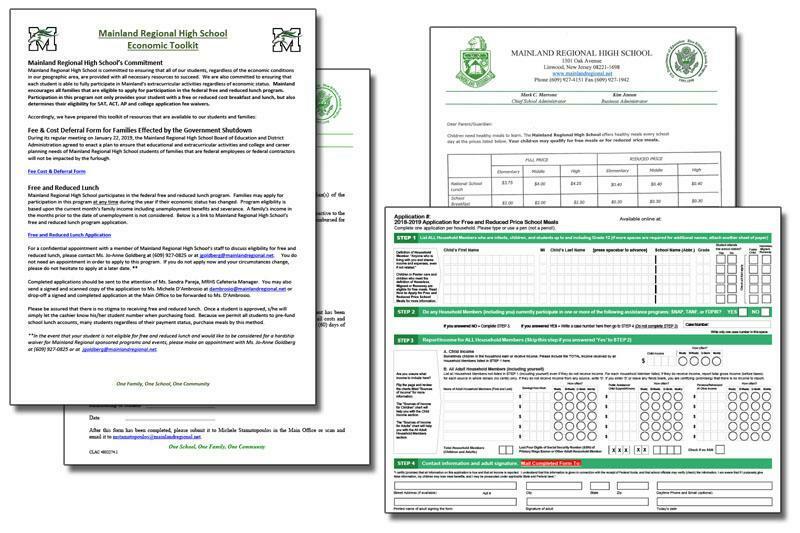 Click here to read more about economic resources, the Fee & Cost Deferral Form, as well as the Free & Reduced Lunch Application. 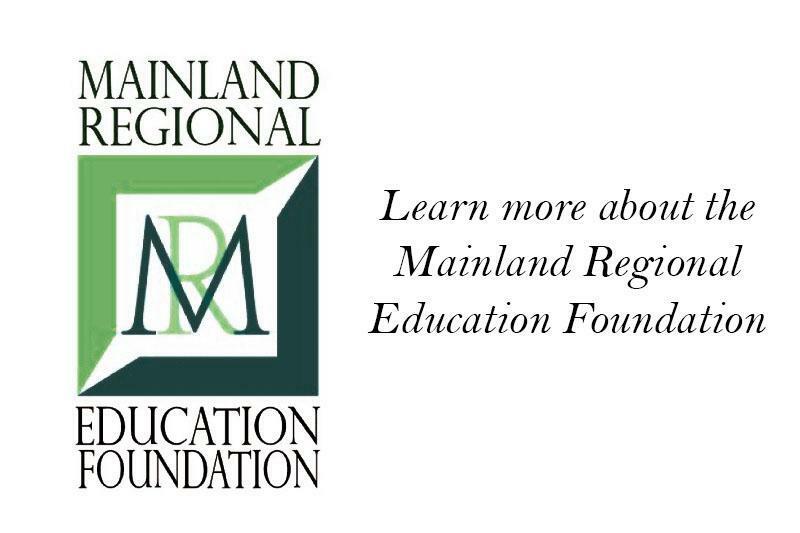 The mission of the MREF is to promote Mainland Regional High School by funding student scholarships, grants to teachers and other programs that elevate the quality of education at the school. 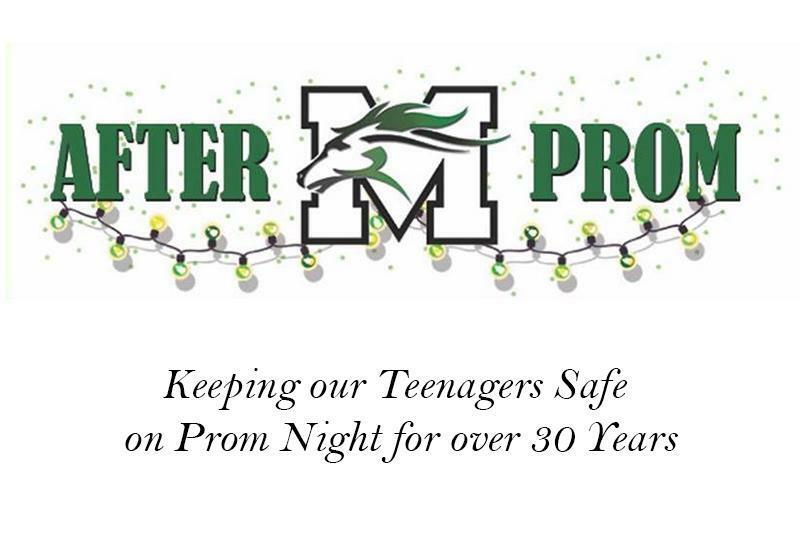 MRHS After Prom is where it's at! 2019 - Saturday, June 1st Read more about how to help volunteer, donate, or attend meetings.